The weather in St Malo has a climate moderated by the ocean. The temperatures are warmed by the Gulf Stream and the variation of the temperatures between winters and summer is very low (of 5,4 °C in February in 17,3 °C in July) with an average in 11,3 °C. The weather in St Malo is heavily influenced by the microclimate induced by the bay. This microclimate is responsible for really very mild temperatures. The weather in St Malo is practically limited to the bay. The more you go westward or northward, the more the climate becomes cooler. 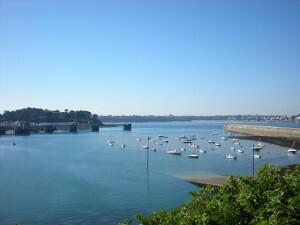 The tides of the bay of Saint-Malo are among the most important in Europe. 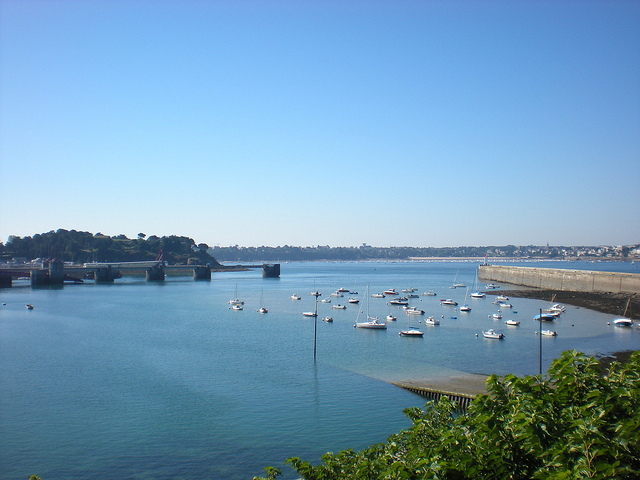 They are enhanced by the concentration of waters in the heart of a triangular bay between Brittany and Cotentin on the Normandy Manche peninsula. At most, the tidal range (amplitude between low tide and high tide) can reach it 14 meters, it is more than double the common tidal range in the Atlantic Ocean. So caution is advisable when venturing into the sea. Before climbing on sandbanks or on rocks in low tide, it is advisable to inquire about the schedules of tides, to avoid the risk of being trapped by the sea (NB: schedules of the tides are available in tourist offices). It is not recommended to walk by the sea in daytime when spring tides and big winds converge. There is a risk of being swept out to sea and drowning so exercise care. The climate is very clement. The temperatures are considerably more mild than in the North Sea or the Baltic Sea. Thanks to this climate there is no fixed season and you can enjoy the off – peak seasons. With fewer tourists you can still enjoy good seafoods and fishes, with practically all the restaurants open. So even during November, December, January, February, March the weather in St Malo is very pleasant.